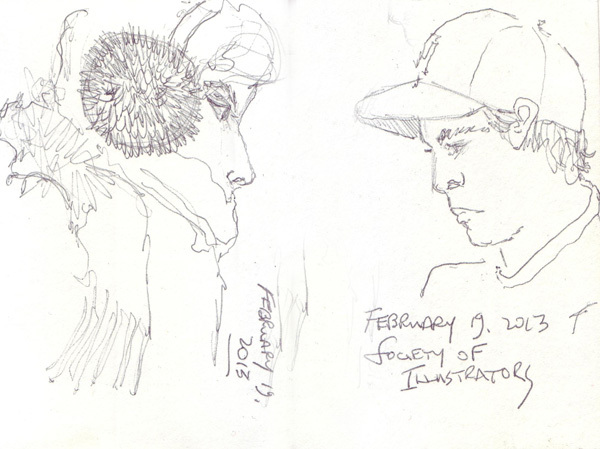 Neither my husband nor my own children ever open my sketchbooks and I doubt that any of them ever look at my blog. But my grandchildren love to find their toys and can usually remember how to find the pages. 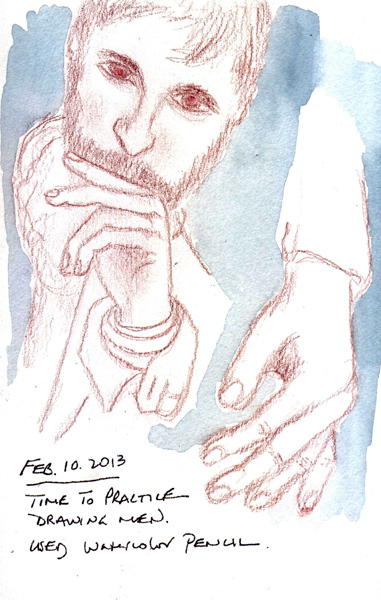 It is so nice to have them show interest, that I try to add sketches on a regular basis. I took care of Charlie, our youngest grandchild, several weeks ago. 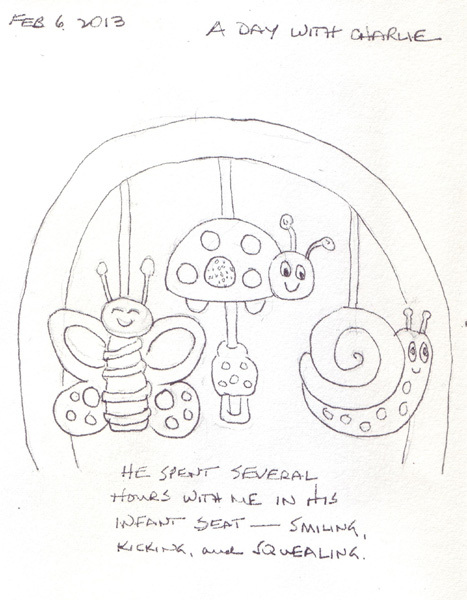 While he was happily sitting in his infant seat - babbling and smiling, I sketched the dangling toys. Then he became grumpy and I never painted them. On another day, I was playing with his older brother, 3 year old Zachary, and he showed me his big cloth bag of wooden animals. He requested lots of animals for his birthday last year and my daughter-in-law found some wonderful wooden animals from Australia. 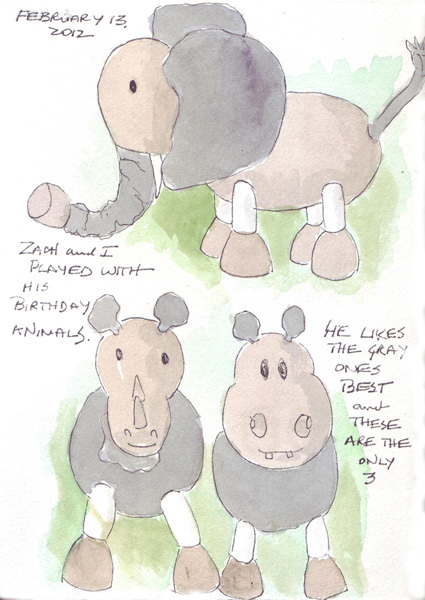 I asked Zach if I could draw the elephant and he told me that he liked the "gray" animals best. There were 3 gray animals total - so I had to draw all 3! This weekend we had 5 of our grandchildren for a sleepover and Zach brought 6 Beanie Boo stuffed animals to sleep with. 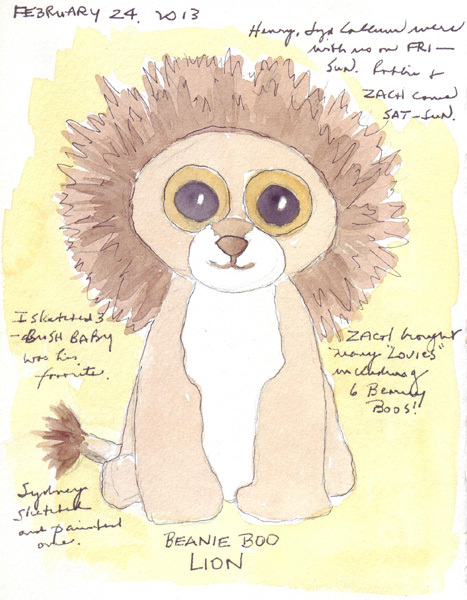 Six year old Callum was busy working with me on drawing exercises from Mona Brookes book, and inspired this drawing of the Beanie Boo lion. Before the weekend was over even Sydney sketched and painted the Beanie Boo elephant, but I forgot to scan it before she took it home. My friend Kathy made this cute little leather book for me and for the first time I have a sketchbook with me at all times. The pages are 4.5 in high by 3 in wide. 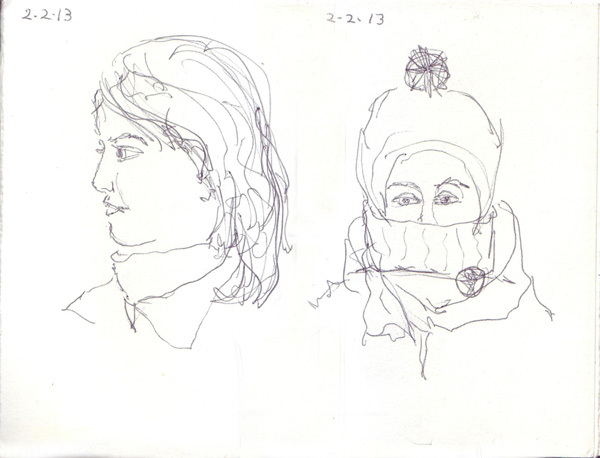 I carry one ballpoint pen with the sketchbook and try to do quick sketches on the subway or bus. 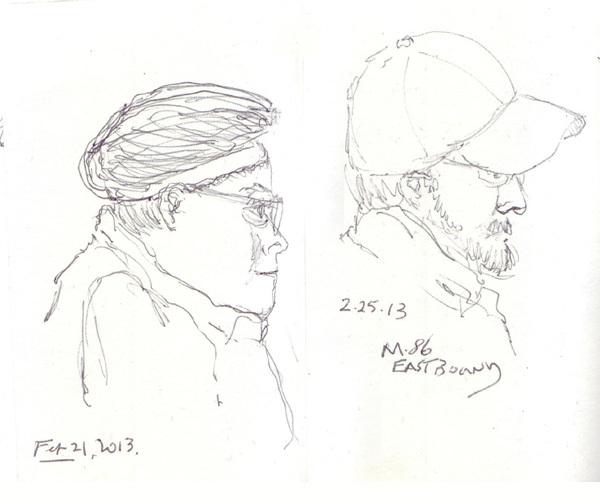 The stops in the City are very close together so each sketch needs to be done in 1-2 minutes - or your subject gets off or is obscured by the arrival of new passengers. I don't work in a series very often, primarily due to boredom. But I still have some tools and mediums, purchased in the past, that I want to try in my elephant series. 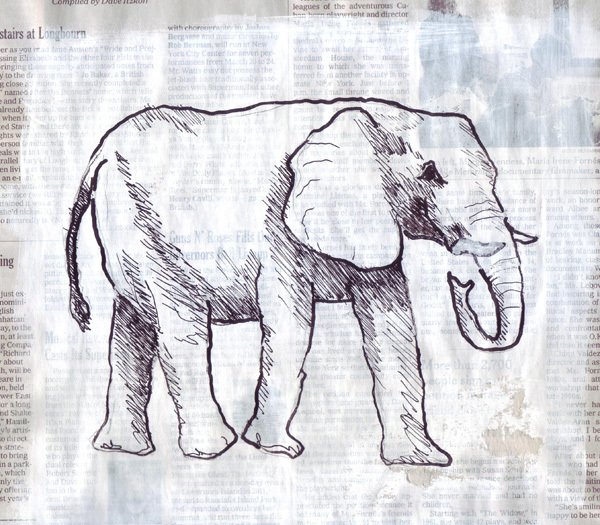 Elephant #13: Elephant #12, posted previously, was drawn with a dip pen and India ink. 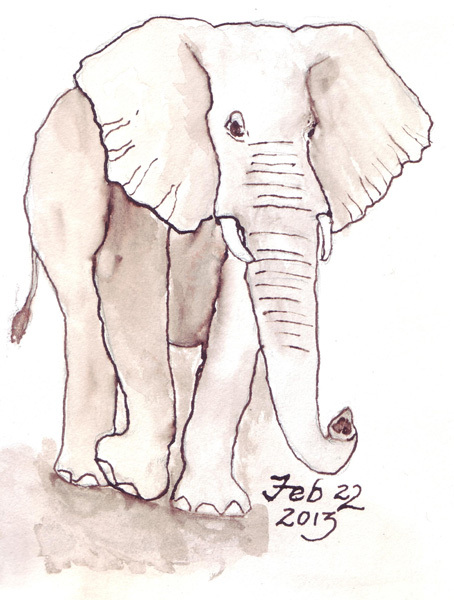 Today I tried a ruling pen and FW acrylic ink on Fabriano Artistico 140 lb Soft Press watercolor paper for Elephant #13. I was able to move the ink with water in areas that weren't completely dry. 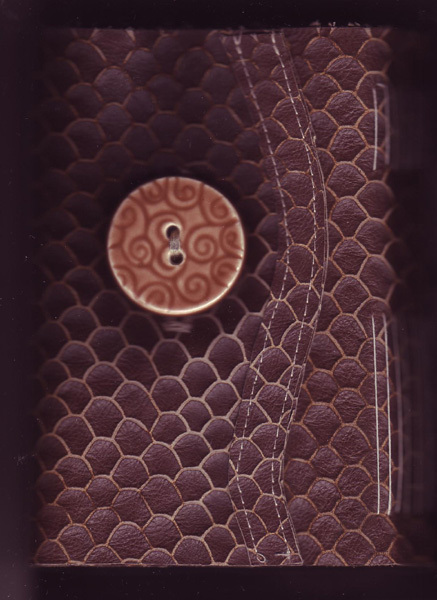 I used the ruling pen with thickened black procion MX dye on fabric several years ago and I really liked it. Today I found it hard to prevent a few big ink drops with the acrylic ink - a much thinner liquid. 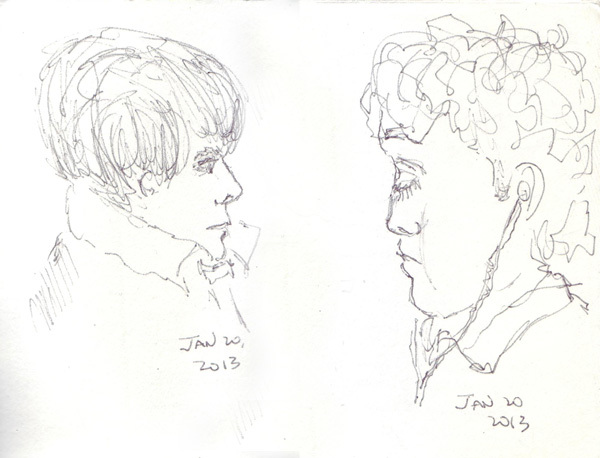 Practice and more practice would be necessary if I were to use the ruling pen again this way. 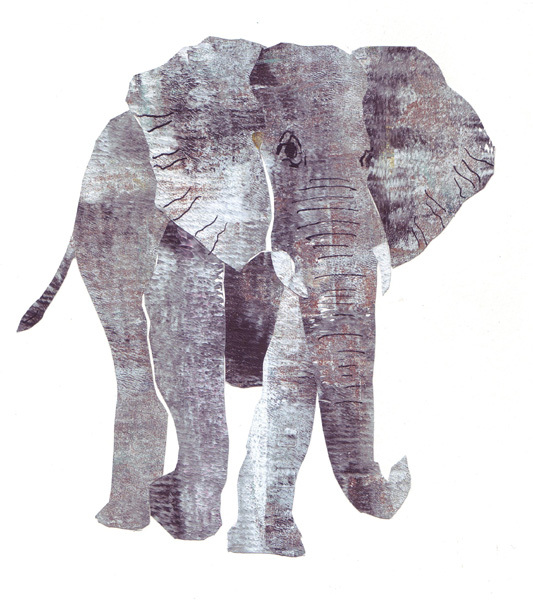 Elephant #14: On Wednesday my art buddies were here to play with Gelli Arts printing plates and acrylic paints on paper. One of the prints I made with white and black Liquitex Basics paint and smooth, slick copy paper was perfect for an elephant collage. I thought I was going to use paste paper for the collage, but made a last minute decision to go with the more textured "Gelli" print. I looked at Eric Carle's book The Very Hungry Caterpillar and a reference book entitled The Art of Eric Carle to look at his technique. And then I found several wonderful tutorials on his website and a single page PDF with instructions to create a collage. PERFECT! He paints tissue paper with matte medium and acrylic paints and uses them as his palette. He doesn't make paste paper as I originally believed. My process: I traced the FW acrylic ink elephant #13 to use as my pattern, and then cut each elephant segment through the tracing paper with an x-acto knife. Each segment was cut out sequentially and immediately glued in place with a UHU glue stick using the tracing paper for placement. 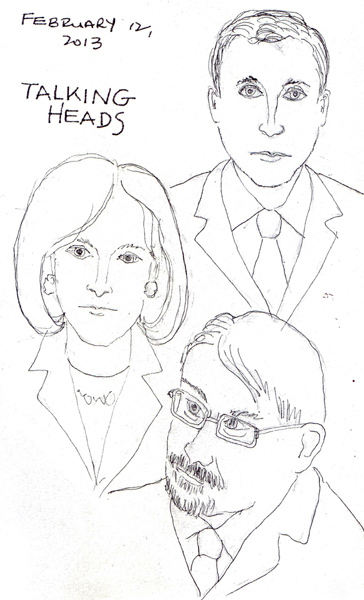 At the end I added eyes and some detail with a dip pen and India ink. Here is my Gelli Art print after I cut out each of the segments. And here is my elephant collage. I'm thrilled with the results! 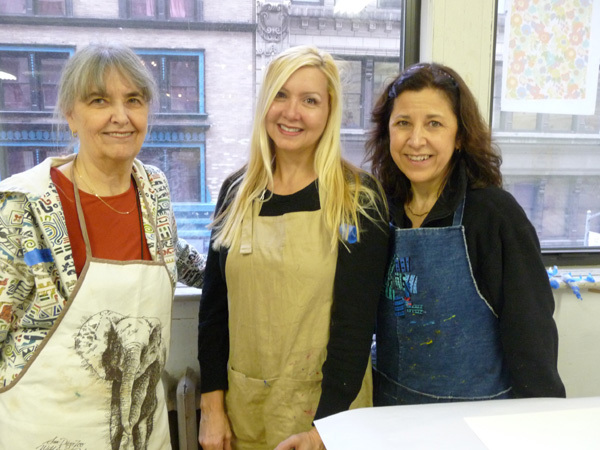 Last Saturday I took a Paste Paper class at the Center for Book Arts in Manhattan. Here is a picture of Me, and my friends Gloria and Benedicte. I used a >30 year old apron for the class and was shocked to see the elephant on the front. I made thirty-one 14 X 17" sheets of paste paper and enjoyed every minute of the class. 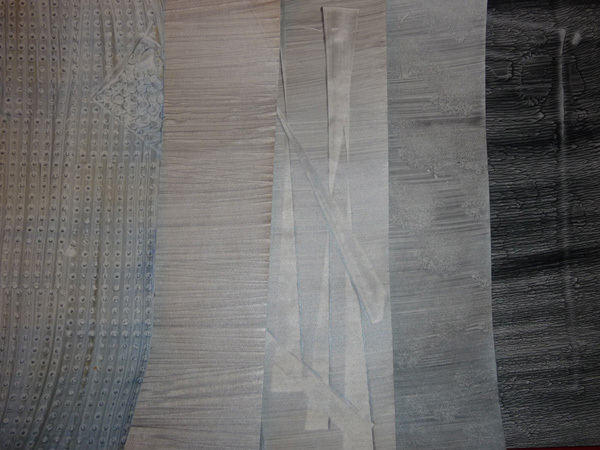 Here are 5 grayish pieces that I made for an elephant collage. 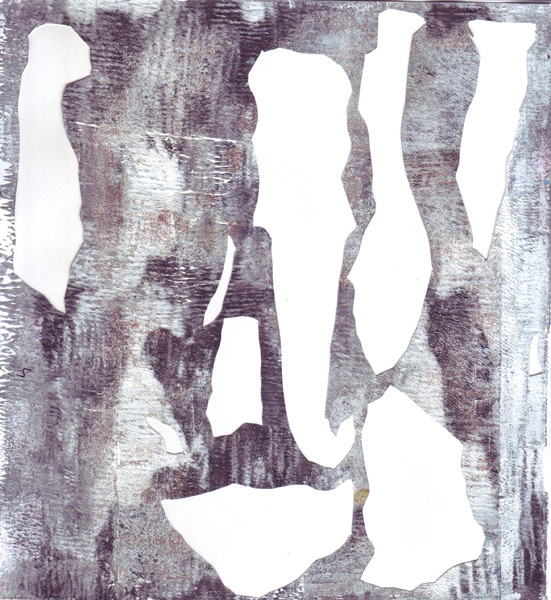 I've done collage, but never to create figurative art. But Lynn Gall, our class instructor, says that Eric Carle uses paste paper for his children's book, so of course I will need to try it!